This post is sponsored by Zevia, but the content & opinions expressed here are my own. It's pretty amazing how quickly sugar can add up without even realizing it's there. There's sugar in your ketchup. There's sugar in your sports drink. There's sugar in your tomato sauce. Sugar is everywhere! 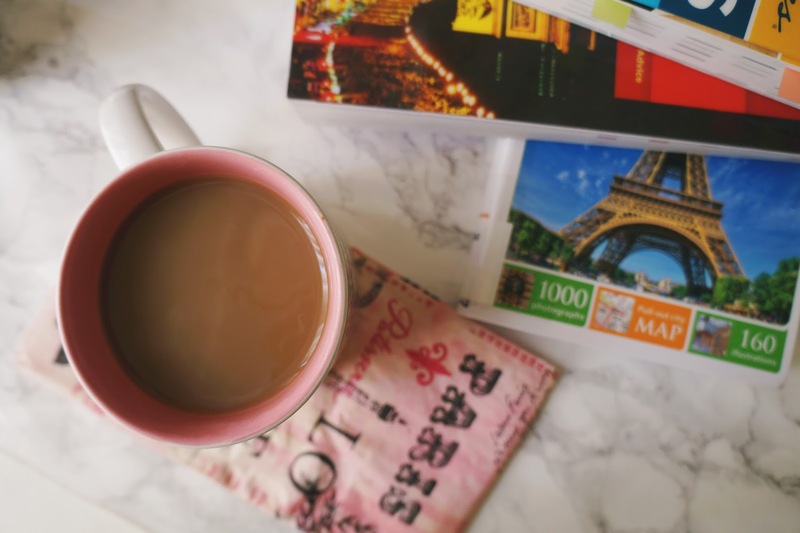 After monitoring my sugar intake I realized there were a couple easy ways that I could cut down on sugar without feeling like I deprived myself. Both are pretty simple swaps! I used to love cream & sugar in my coffee. It was part of my lifestyle. It was something I did without thinking. Just for kicks, I took a moment to measure how much I put in my coffee & was pretty surprised. I realized there was room for improvement & it was one of the easiest swaps I could possibly make. I tried to just have black coffee, but it's simply not for me. I cringe with every sip. I experimented & found what worked for me. Now I simply add a splash of almond milk to my coffee — okay, two large splashes. It cuts out bitterness & tastes delightful. Pro tip: you could also add cinnamon or nutmeg to add more flavor. I don't even miss the cream & sugar. I'm not a huge soda drinker but I love it as a treat from time to time, especially root beer! I keep a couple cans of Zevia, a sugar free soda made with stevia leaf, in the refrigerator if I feel like having something sweet. 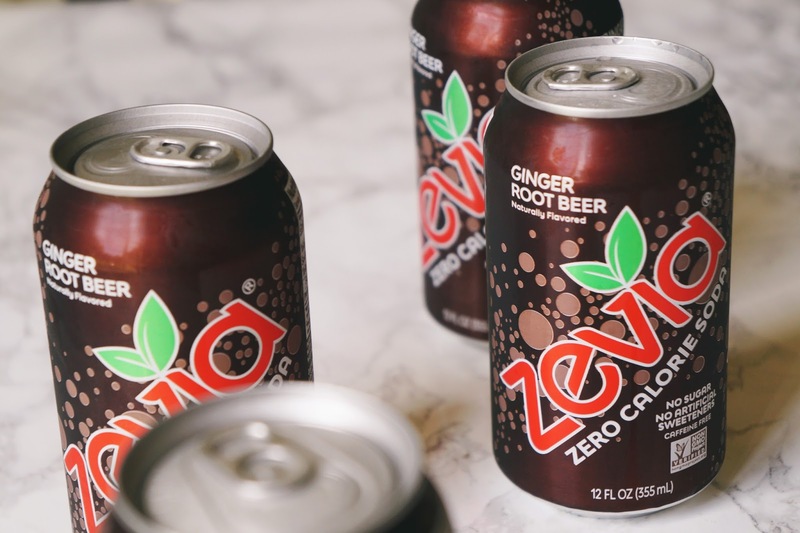 Zevia feels strongly about reducing sugar consumption, using clean ingredients, & creating delicious & refreshing beverages. Zevia is sweetened with stevia. Stevia is related to the sunflower family & provides 200 times the sweetness of sugar. It has no caloric value nor does it raise blood sugar levels. And guess what? 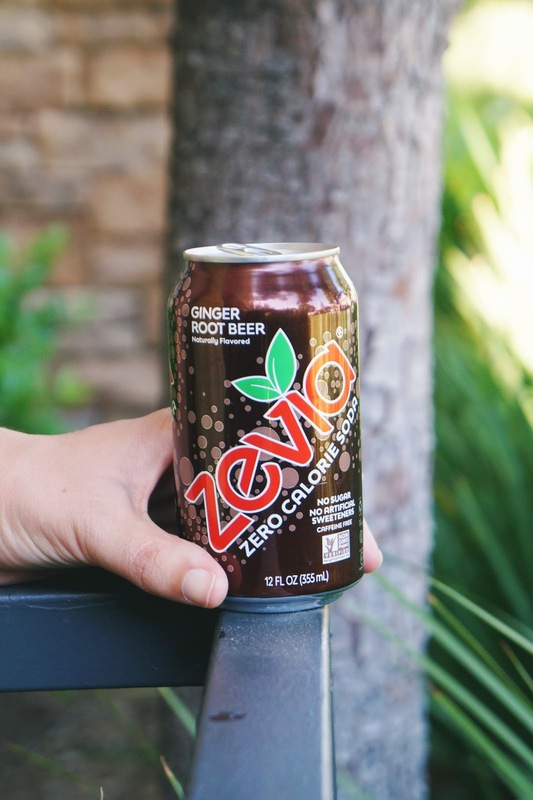 Zevia is clear in color, non-GMO project verified, vegan, kosher, & gluten-free. Choose from other flavours like Black Cherry, Cream Soda, Grape, & even Dr. Zevia. I tried a couple different flavors but this Ginger Root Beer is my number one choice. I couldn't taste the ginger but Fred said he could. I feel so much better knowing that I'm not drinking 36 grams of sugar in one can. Instead, there's absolutely none! The stevia gives it a unique but delicious flavor. These swaps are super simple but effective. How do you cut down on sugar? Browse the Zevia store locator to find where you can buy some. And don't forget to enter to win your own Zevia six pack with my Instagram giveaway! 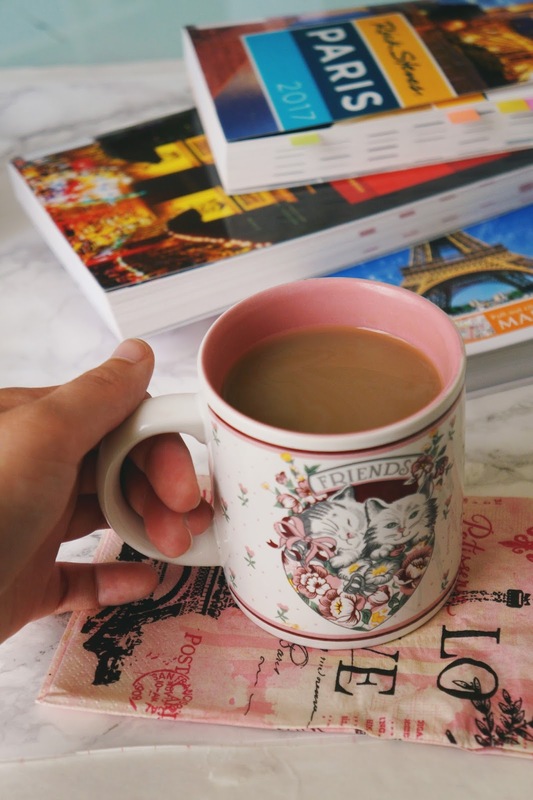 I’ve been doing a little research on Stevia lately in the effort of finding some way to cut out sugar (& avoid studying haha) but I found that it’s more addictive than sugar! I’m not sure how accurate this is but I’m still very curious about it. I already drink sugar free Redbull so I probably shouldn’t worry too much haha This Zevia drink sounds really good though! & it must be healthier than a sugar-laden drink! If stevia is 200 times sweeter than regular sugar then I guess you must only need a minute amount of it! I love Zevia it's so good! Cutting sugar is so difficult because it's in everything. I've never heard of Zevia, but it sounds interesting. It's been years since I've purchased soda, but if I decide to have one someday, I'll look for it. Wonder if there are any other flavors? We just started drinking Zevia and absolutely love it! I love these ways to cut out sugar without really cutting out flavor! I love Zevia, especially Doctor Zevia! I have cut way back on sugar and have gotten used to using stevia in my coffee and drinking Zevia. We LOVE the Zevia drinks...particularly the root beer. I feel like I'm cheating when having them...delicious. 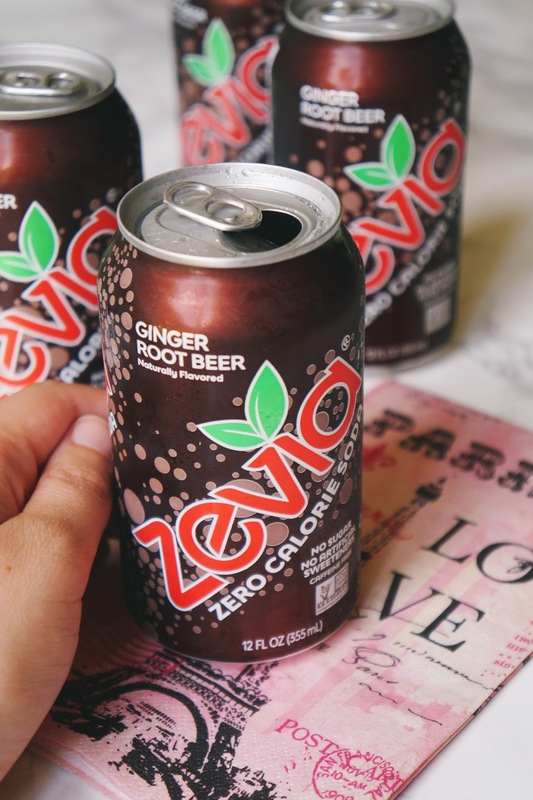 I'm for sure going to try that Root Beer Zevia. I'm really vigilant about not having added sugar. Well, I was given a can of Root Beer last year (which I love and haven't had for years.) But I could never bring myself to drink it because it seemed an awful waste for all that sugar. But I wouldn't feel quiet as bad indulging with a little stevia. Will check it out. I have never tried these, but will have to look into them, they sound so tasty! I need to cut down on my sugar intake via drinks. I love fresh veggies and fish, so I eat healthy...but I tend to drink too much sweet tea. :) I'll have to give Zevia a try. I've never tried this drink, but it sounds great. Will look into trying sometime!